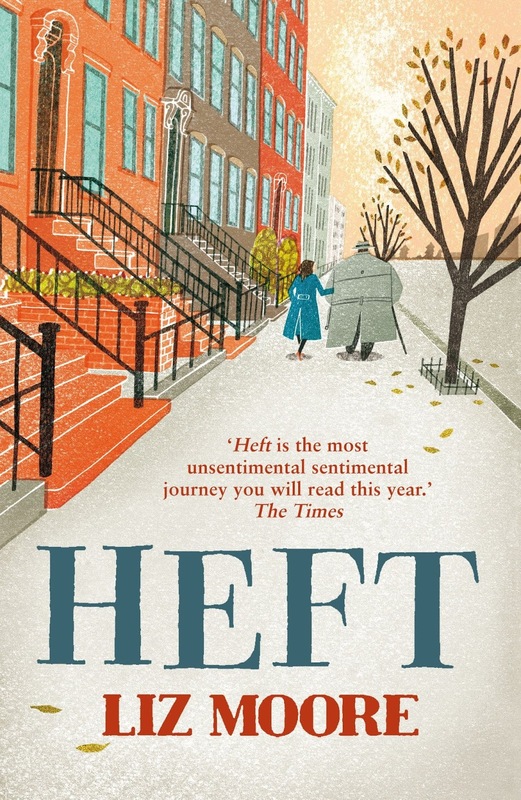 Heft is Liz Moore’s latest novel and tells the tale of Arthur Opp, an obese loner who’s stayed cloaked in his home for ten years. Everything he needs is delivered to his home and the only people he sees are couriers and delivery men that unknowingly keep him alive. He didn’t always live this way. Eighteen years previously, he worked as a professor, teaching English night classes in central Manhatten. Here he met Charlene Turner, a timid, ‘not beautiful’ teenage girl, who although isn’t academically minded, captures Arthur’s heart. Nothing happens while she is a student but after they part, Charlene starts to write to him and soon they start dating. Just as things seem to be going so well, Charlene ends things, saying family matters leave her no choice. Arthur is broken-hearted but unsurprised, after a hard life, he knew the joy couldn’t continue. And when his colleagues find out about the relationship, he also loses his job. His world crumbles and the walls of his home close in on him. Charlene and Arthur continue to write to each other but even that slows until it is years since he hears a word from her. When he eventually does hear from her, she sounds strangely upset or drunk. She asks him to tutor her son, a son he never knew she had, from a marriage she had never told him about. Turns out there are an awful lot of things that both Charlene and Arthur have left out of their letters but why has she reached out now? I really underestimated this book, when I picked it up I thought it was going to be a simple story of love that didn’t work the first time, ends up becoming happily ever after. I couldn’t have been more wrong. This story is the two separate tales of Arthur and Charlene’s son, Kel. Both lonely, craving love, help and support in simple day to day life. There is a great deal of sadness in this book yet somehow it is never once depressing and although I did occasionally get a little annoyed at Arthur’s ‘woe is me’ attitude. Kel was the character that really captured my heart. A teenager on the verge of adulthood, torn between the two, unsure how to be, what to aim for and wishing he had done more. Something I think everyone can relate to at some point. I also thought the ending of this book was great. Without spoiling anything, I feel it leaves the perfect amount of questions unanswered. This is simply one of those beautiful books that’s a joy to read and saddening to finish, making you want to start it all over again.